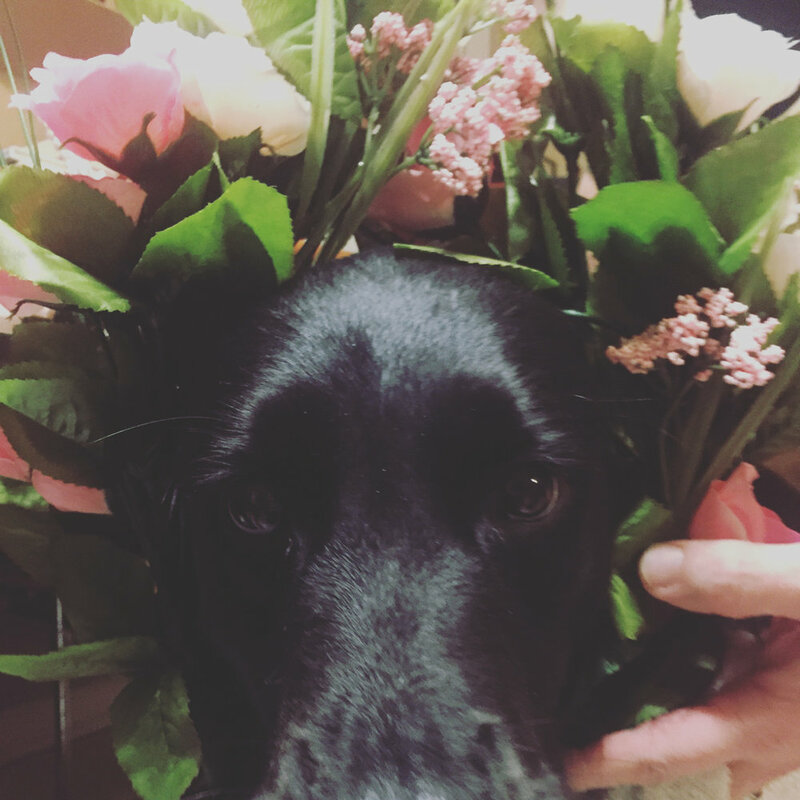 DIY Flower Crown & My First Periscope! At any rate, I am a sucker for a DIY project! Now, that isn’t to say that I am particularly GOOD at DIY. I love to paint, and sew, and do all the crafty things but I am far and away from being good at any of them. What’s the rule? It doesn’t have to be perfect, it just needs to get done. Story of my life right there! Don’t get me wrong. I am very detail oriented, but in very specific tasks. Things like client work, SEO for my website, spelling (haha), but when it comes to building props or creating dress options for my studio…Girl, none of that needs to be perfection. I’m not selling it on a runway. 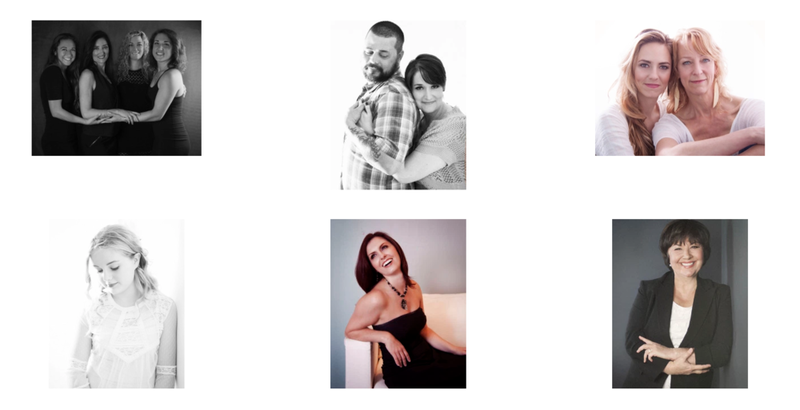 They are tools to set my photography apart and help my clients to feel special and beautiful. <<<That right there is my number one priority. Period. What I love about the two looks is that it’s allowing me to stretch my legs in designing a themed photo shoot, giving us two completely different options for Marie Antoinette, one of which will be directed more towards portraiture and the other towards boudoir. It’ll be fab! I needed to build a flower crown. …and then I went down the rabbit hole and made two, had my super squishy assistant Matilda wearing one (she’s a golden/aussie and the best assistant ever! ), and made a giant mess of my dining room. The latter is nothing all that new. I build most of the crafty hacks for my portrait studio here at home. Ladies, let me be clear. 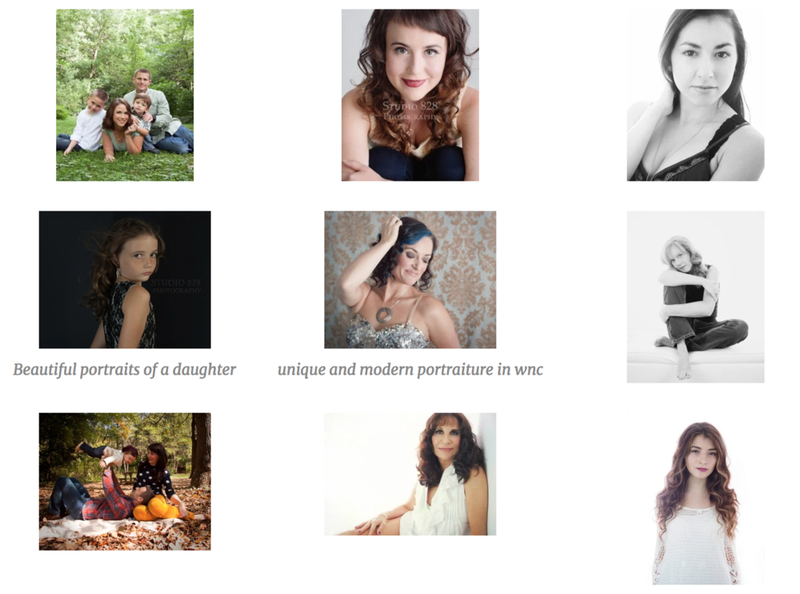 I’ve gotta put this out to you because every year I get dozens of calls in November from wonderful women that want to book their photography session to have in hand by the holidays (and I always feel like a jerk when I don’t have availability) Our cutoff for photo shoots to have your artwork in hand by the holidays is December 5th. We are booking November and December dates now. Don’t be sad, reach out as soon as possible to secure your date. I would love to photograph you. Preparing for a photo shoot as a photographer. So, what does that mean? What are this photographer’s steps of service? Don’t I just show up and shoot and send you home? Nah, it wouldn’t be nearly the experience for either of us if that were all there was to it. What is my process? Well, there are a few steps. First and foremost: I have you in to our photo studio here in Asheville for a consultation (or via Skype if you aren’t local – @CatFC828) and we get to know one another a bit. Really, its a conversation more than anything. I ask you questions about what you’re hoping to get out of a photo shoot experience with us. Is it to celebrate a recent victory? A holiday or anniversary gift for a loved one? Investing in your own self care? Maybe you haven’t had a professional portrait taken in a while…or ever? You ask me questions, whatever is coming up for you: What do I wear? How much should I bring? Should I do my hair? What kind of shoes should I bring? What kind of artwork do you offer? How much is it? Can I bring a friend/daughter/sister/mom/partner? We’ll address all of these things, and more. These consultations typically take 30-45 minutes and are no obligation. If after we meet you decide that maybe I’m not the right photographer for you, that’s okay too. What do YOU get from this consultation? You get a sense of who I am as a person and a professional photographer and an opportunity to connect with me on a personal level. This of course, allows you to build trust in your choice of photographer and not into some random person you hope will do a good job. Confidence about things you need to know to prepare for your photo shoot. Look, coming in blind to a session creates insecurity both in your expectations of us and yourself. That education is key to you feeling confident in your wardrobe choices and your choice in photographer. Sure, you could hire just anyone to take your picture and, in most cases probably have. Maybe you loved the artwork that photographer created? Maybe you didn’t. It is my job to ensure that we create imagery that you love and will be able to pass down through generations and that deserves more than a 10 minute conversation about how I take your money and when you want to shoot. You deserve a photographer that will tailor your appointment to you and your needs, be available to help you plan your session through inspiration and skill. We are a full service studio. We are there for you from the second you inquire with us all the way through the delivery of your artwork, and then some. From this consultation I am able to really get a sense of you, your personality, your likes and dislikes and I use this information to tailor your photo shoot TO you. Understand the types of artwork you are interested in to help me shoot with that artwork in mind. confirm your date with our calendar. That requires a non-refundable retainer paid either at your consultation or a date determined by our conversation at your consultation. send you our PDF about the details on how to prepare; everything we discuss at your consultation and more in detail. communicate either by email or phone about additional questions that you have before the shoot. For example, you might be out shopping and trying to decide between a few outfits. Text them to me and I’ll give you my recommendations and why. Send me your pinterest boards, tell me what imagery on my website that you love and are drawn to and why and feel free to pin those images as well. You can add comments to everything that you pin so I can know right away when I connect with your board. follow up with you to remind you about your session the day before your shoot and then we’ll meet at the studio for your appointment. During this time, I also take a few hours to sketch out my ideas for your session based on everything we discussed at your consultation, communication before your shoot and any inspiration you’ve provided. I’m no Picasso with a pencil however (see above image), these sketches allow me to solidify a posing map specifically designed for you. I’ll then use this map when you arrive in the studio to plan out your poses once I have your wardrobe in house while you’re in hair and makeup with our stylist. When you arrive at our studio,we’ll take your before photo and you will go directly in to hair and makeup. Our stylist will discuss with you personally how you’re envisioning your hair style and your makeup for your session as well as anyone else receiving this service in your party. I will be finalizing our posing map based on your wardrobe selection, shooting some behind the scenes stills and video and arranging our first set. Once we’re into the shoot, I’ll be coaching and directing you through the entire process based on that posing map. I’ll also be sure to capture candid in between poses as well. How you carry yourself naturally is beautiful and while I want to have the foundation of the map, your natural beauty will shine on it’s own as you become more comfortable and I want to capture that, above all else. Following your photo shoot, we will schedule your in person reveal and ordering session. It is typically within a week of your photo shoot. At this reveal session we will go through all of your edited imagery together and you will choose your favorites for your artwork and place your order. Whether you love one image or twenty-five images, what you purchase is completely up to you. It is my job to create beautiful portraits of you that you will love. It is your job to choose your favorites and try not to want everything that we’ve created together. Once your order is placed we will schedule your product delivery. This is usually 3-4 weeks following your ordering appointment and dependent upon the artwork you have purchased (folio collection, wall art, etc.). I will personally deliver your order to you at the time we choose at your reveal session. I drop ship nothing, ever. All of your artwork is delivered to me first, so that I am able to ensure the utmost of quality from my suppliers before it reaches your hands. For the record, I am a hugger. I am connected to each and every one of my clients and I cherish you all. Each of us has a story and I am so grateful to be able to learn about you and provide this service for you. That being said, more than likely, you’ll get a hug. So, there you have it. 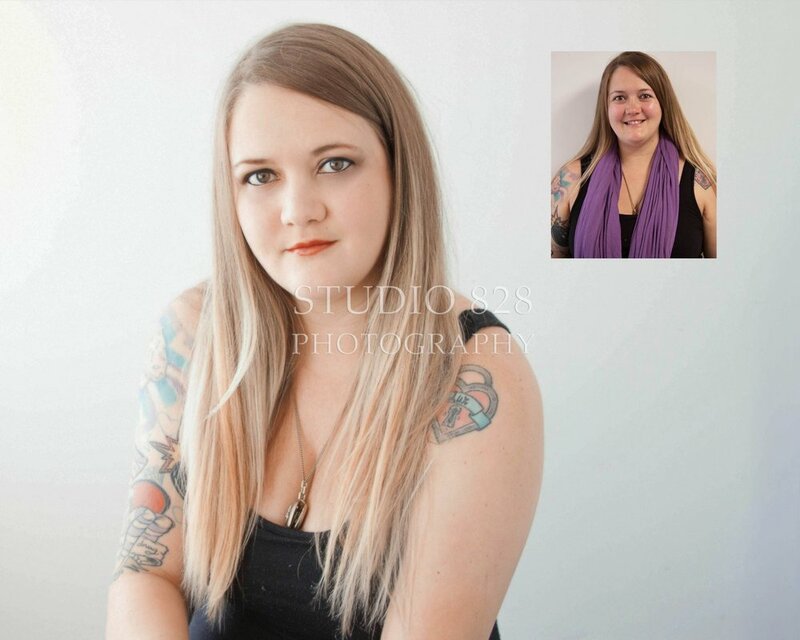 Are you interested in a makeover and photo shoot with us at Studio 828 Photography? I would love to photograph you.